Dutch tech magazine LetsGoDigital has unearthed an Intel patent for a foldable smartphone style device. The patent is relatively old, filed in June 2015, and granted in June 2017. It has a term of 15 years. However, reading through the patent documentation (PDF), one wonders how seven esteemed inventors managed to get this patent passed. It simply shows a generic looking slab device folding in a standard printer's tri-fold leaflet format. There are many images in the patent application but little in the way of technical descriptive text. After inspecting the figures reproduced in the documents I think some of the diagrams have been drawn incorrectly. For example if you look at figures 2 and 3, the joins between the three screen sections are not equal in dimensions, but in the 'tent' modes shown in figures 13 and 14 they are equal in length (see above). This design wouldn't be able to tri-fold like a piece of paper, but would possibly work in the 'z-fold' format, another commonly used leaflet folding method used in the print trade. 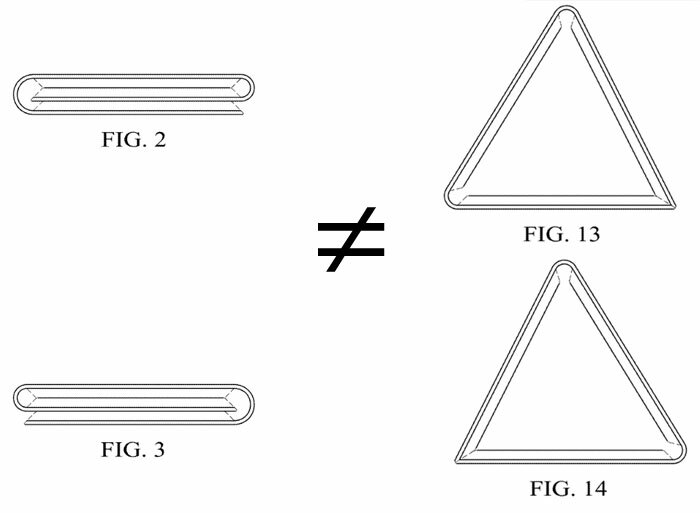 Moving onto figure 20 and 21, Intel appears to wish its patent to cover z-fold designs too. However, from fig 25 onwards its sketches swap back to the unequal hinge sections necessary for a tri-fold device design. These designs incorporate a stylus silo in the smaller bend section (see above). 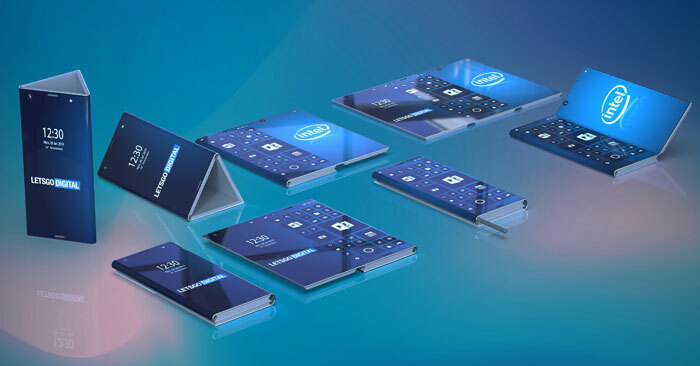 Despite these dodgy sketches, LetsGoDigital has created some nice renders of how Intel's patented devices might turn out if they were ever produced. As that site suggests, I wouldn't expect Intel devices such as these to hit the market any time soon. 6 Does the Samsung Galaxy Fold hinge and screen lack durability? 1 question how durable will the screen be with all that bending ?????? and what's the life expectancy of the screen. In the US, designs fall under the umbrella of patents - hence design patent. These are not utility patents where the objective is to encompass technical concepts. Fun fact: fig 13-14 don't match fig 2-3 design… the two angle/curve is the same whilst one should be bigger that the other to accomodate one third in between.